Medellin-based textile-fashion industry trade group Inexmoda reported July 26 that the just-concluded, 29th annual “Colombiamoda” show at Plaza Mayor generated sales deals worth US$169 million. While that was about 6% short of what organizers had initially hoped for this year's edition, it's nevertheless a generally positive sign, given relatively weak economic conditions that have pinched regional clothing demand over the past couple of years, according to Inexmoda. Some 500 entrepreneurs -- 84% Colombian nationals (with Antioquia the biggest single group) and 16% international – cut deals with some 11,000 buyers from 40 countries at this year's show. Ecuador (17% of international buyers), Mexico (15%) the United States (14%) and Peru (9%) were the biggest groups of foreign buyers, according to Inexmoda. For the total 27,200 visitors to the show, highlights included demonstrations and fashion parades from 46 major fashion designers and 10 commercial brands, according to Inexmoda. In this year’s special graphic-arts design section at the show, 25 artists “expressed the latest trends in finished product graphics,” via four special conferences and two workshops attended by 150 potential customers. “Taking advantage of the digital transformation that is currently happening, for this edition of Colombiamoda, a ‘Business Agenda Platform’ was organized for the first time, featuring a web portal where 11,000 national and international buyers could make 409 appointments with the 500 exhibitors” at the show, according to Inexmoda. A parallel “Business Conference of New Technologies” organized by Colombia’s Ministry of Technology, Information and Commerce and the ProColombia export agency brought together 30 exporters of information technology and digital content related to the fashion industry. These exporters connected with some 78 entrepreneurs in the industry, generating business expectations of US$1.1 million, according to Inexmoda. Meanwhile, the Inexmoda "Knowledge Pavilion" – organized by Universidad Pontificia Bolivariana – attracted 12,138 live attendees 4,051 others via internet streaming for expert talks on the latest in fashion and consumer-demographic trends this year. Besides generating hefty sales deals for clothing designers and manufacturers, the show also netted the city of Medellin an estimated US$9 million in hotel, restaurant and transportation revenues, according to Medellin’s Secretary of Industry and Tourism. The 2018 edition of the show included the latest clothing designs from Exito's "Arkitect" brand at the opening, Isabel Henao designs at the closing, as well as renowned Andrés Pajón, Camilo Álvarez, Andrea Landa and SOY collections, “among the great figures on the catwalks of ‘La Semana de la Moda’ in Colombia,” according to the show organizer. "Arkitect" fashion designer Custo Barcelona developed a line that "continues to democratize fashion, including clothing production 100% made-in-Colombia,” according to Inexmoda. Other veteran designers on the fashion agenda this year included Diego Guarnizo and María Luisa Ortiz (presented by The Foundation for Women AVON); Andrés Pajón, Camilo Alvarez and Andrea Landa (presented by Chevrolet); and ALADO, celebrating 10 years of fashion-industry trajectory, according to the group. Emerging designers featured at “El Cubo” included Geraldine Lustgarten, Kinira Swimwear, La Mar, Vana, Beat-a-bee and Afrikans, while other young designers such as Alexandra Bueno, Rocío Borré (with her trademark “Bahamamama” beach wear), María Alejandra Cajamarca (with her “Bahía María” swimwear) separately were featured at a “Nonstop Moda” event. International clothing designer GEF returned to Colombiamoda this year, along with other major brands including Offcorss, Maaji, Ann Chery, Chamela, Trucco's Jeans, Carmen Steffens and People, according to Inexmoda. The U.S. Agency for International Development (USAID) “Oro Legal” (legal gold) project management announced July 17 that toxic mercury dumping and processing has declined “significantly” among artisanal gold-mining operations in Bajo Cauca as well as Northeast Antioquia. The agency noted that Colombia officially banned all further use of mercury in gold-mining activities as of July 15, 2018, following a five-year “transitional period” that started in 2013. Socially responsible national and international gold miners in Colombia abolished mercury usage years ago. But some informal and criminal gold-mining operators here continue to dump toxic mercury, poisoning the environment, gold-processing workers and nearby populations. Following the Colombian government’s mercury-phase-out transitional period, “some concerns arise regarding [the mercury-ban law’s] effectiveness,” according to USAID. However, recent studies indicate a “significant reduction in the use of [mercury] in the Bajo Cauca Antioqueño and Northeast Antioquia mines, and there is also evidence of a decrease in [mercury vapor] emissions in the air in populated areas, as demonstrated by the comparative measurements made by USAID during the years 2016 and 2017,” according to the agency. USAID’s “Legal Gold” study examined use of mercury in local gold mines, analyzed commercial movement of mercury, and measured mercury vapors in certain towns via a novel sampling protocol. Samples were taken in 63 small mining production units located in Bajo Cauca and Northeast Antioquia, according to the agency. “The mining units that received or receive accompaniment from the USAID Legal Gold program’s formalization process in the last two years have registered an approximate elimination of 7.8 tons of mercury in the department of Antioquia,” the agency reported. “This is due to the technical assistance provided in the field and to the [artisanal miner] formalization contracts or subcontracts established between owners and small-scale miners, which obliges the latter to process their material in zero-mercury [gold-processing] plants. “However, due to cultural and economic situations of the small miner, mercury use still persists. Comparative studies indicate that, on average, in the three types of [artisanal] mining [open-pit, alluvial and mini-dredge] in 2016, for each gram of gold produced, 14 grams of mercury were used, while in 2017 the figure dropped to 6.15 grams to process one gram of gold.,” according to USAID. “In December 2016, in order to establish a control on the importation and commercialization of mercury and all products that contain it, the national government issued Decree 2133 of 2016, which establishes the process and allowed quota for the importation of mercury. “Likewise, the government determined that the import quota of mercury to the country for the period from September 16, 2017 to September 15, 2020 was stipulated at two tons per year, and this should be used for activities other than mining. “This reduction in the import quota of mercury hindered the acquisition of this metal in the different municipalities and multiplied its real price. Before the controls, a kilogram of mercury was quoted at COP$220,000 [US$76], but today this figure amounts to COP$750,000 [US$260 ],” the agency added. As for mercury-vapor air-pollution studies, the agency took air samples in gold-trading and processing centers in six municipalities of Antioquia and three of Chocó: Segovia, Remedios, El Bagre, Caucasia, Zaragoza, Santafé de Antioquia, Quibdó, Condoto and Istmina. Over time, the investigators discovered the emergence of new mercury-vapor hot-spots "in the perimeter areas of the town, away from shopping areas and gold purchases,” according to the agency. “The conclusion of this monitoring is that [mercury vapor pollution] declined in urban areas, which indicates less impact on public health, but a greater dispersion was detected in peripheral areas, a situation that makes [mercury pollution] control difficult,” added Peter Doyle, USAID’s legal-gold program director. While government controls on the importation and commercialization of mercury along with prohibition of the burning of gold-processing amalgams in residential, commercial institutional areas has helped cut such pollution, more remains to be done. “The progress in reducing mercury has been impressive and little recognized, but it is going to reach a point where some miners do not have the culture, technology and funding sources for [mercury] elimination [and these miners] will need more support to achieve elimination,” Doyle concluded. Investment promotion agency Agencia de Cooperacion e Inversion de Medellin y el Area Metropolitana (ACI) announced July 10 that besides the under-construction, 220-room Hilton luxury hotel on Las Palmas and the recently completed, US$50 million Marriott hotel in El Poblado in Medellin, Antioquia soon will host another 34 new hotel projects in 2019. “We are the department [Antioquia] with the most investment -- COP$674 billion [US$235 million] --in the construction of hotels in Colombia, directly generating more employment, as 56,640 workers in Medellín are employed by hotels,” added Johana Martínez, executive director of Cotelco’s Antioquia-Chocó chapter. Among the new and under-construction hotels in Medellín: Decameron, Hilton, Travelers, Wyndham, Atton (US$30 million), Viaggio, La Quinta Inn, Marriott, Metro Hotel, City Express (US$42 million), Click Clack and Blue Doors, according to ACI. “Tourist growth and the great attraction for foreign investment offered by Medellín -- part of a city-region strategy -- are key elements for the September 24-25, 2018, realization of SAHIC [South American Hotel and Tourism Investment conference] here, one of the most important international events in the sector,” the agency added. Besides business and convention tourism growth here, eco-tourism is also growing in Antioquia, according to Federico Guerra Hoyos, Secretary of Productivity and Competitiveness for the departmental government of Antioquia. 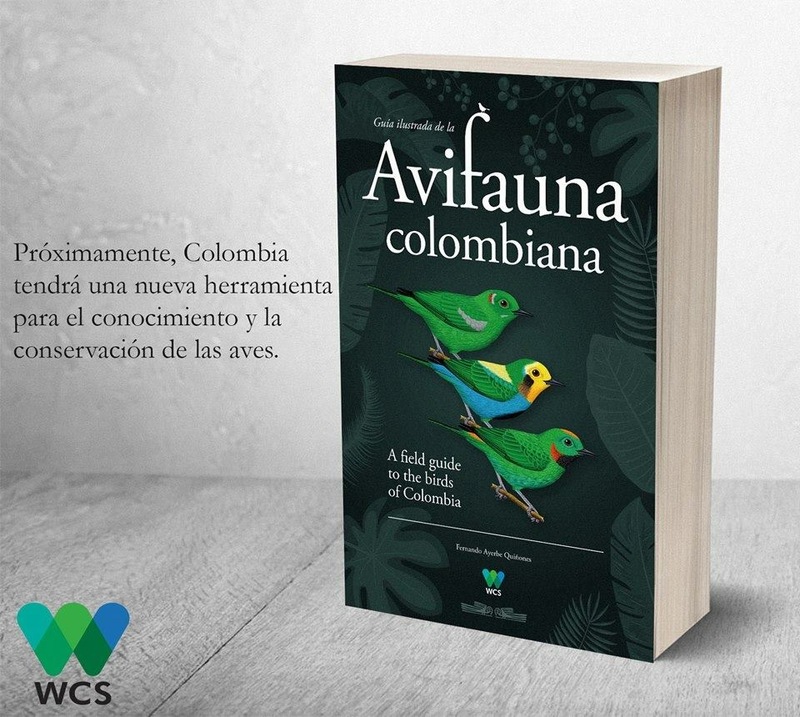 Antioquia “is one of the places with the greatest number of bird species in the world. All this natural beauty is very close to villages with hotel infrastructure, which, added to the host talent of the residents, make our territory an unforgettable place and a unique sensation,” Guerra added. A new report from the United Nations Economic Commission for Latin America and the Caribbean (CEPAL) finds that foreign direct investment (FDI) in Colombia grew by a relatively modest 0.5% year-on-year in 2017, whereas FDI in Latin America actually fell 3.6% region-wide. According to the report (see: https://www.cepal.org/es/comunicados/inversion-extranjera-directa-america-latina-caribe-cae-tercer-ano-consecutivo-2017-llega), “FDI inflows into Colombia reached US$13.924 billion in 2017, up 0.5% on 2016 levels and close to those recorded between 2011 and 2014. Transport and telecommunications sectors were the biggest FDI recipients in 2017, at US$3.136 billion, “matching investment flows to the oil sector (US$3.135 billion), traditionally the largest recipient of FDI in Colombia,” according to the report. Following the crash in global oil prices starting in 2014, “between 2011 and 2014, the oil sector [in Colombia] recieved over US$5 billion annually, but these [FDI] inflows halved in 2015 and 2016,” the CEPAL report noted. In contrast, Colombia's oil-and-gas FDI rise seen in 2017 and in the first months of 2018 “reflects the pick-up in investment resulting from the increase in [oil] prices,” according to the report. Colombia’s mining sector also benefited from a global rebound in prices for basic materials, as 2017 mining FDI rose to US$953 million. “FDI in the manufacturing sector also increased, almost reaching its highest level in the past 10 years, at US$2.523 billion,” the report added. Following a trend of recent years, Spain was the biggest single source of FDI to Colombia, at US$2.616 billion, with the United States a close second, at US$2.121 billion. “Mexico was the third largest investor [to Colombia] in 2017 with FDI totaling US$1.717 billion, including an investment by Grupo Salinas, which injected an additional US$100 million into its fiber-optic infrastructure subsidiary, Azteca Comunicaciones Colombia,” according to the report. “Investments from Spain and Mexico increased owing to the recapitalization of the [telecom] subsidiaries of Telefónica and Claro, after a Colombian court ordered the companies to pay the Colombian government US$500 million and US$1 billion [respectively] in compensation for contractual infringements in the framework of the concessions awarded to them in 1994,” the report added. In contrast to the positive signs for Colombia, 2017 FDI actually declined 9.7% year-on-year in Brazil and 8.8% in Mexico, while Chile saw FDI plunge 48% and Peru dipped 1.4%. Commenting on the CEPAL report, Maria Lorena Gutierrez, Colombia’s Minister of Trade, Industry and Tourism, stated: “Colombia is a stable country. We have instruments that attract investors such as investment agreements, free zones and double-taxation [avoidance] agreements. “But the prospects are even better. The peace agreement [between the government and the FARC terrorist group] and the entry of Colombia into the Organization for Economic Cooperation and Development are aspects that make the country even more attractive,” she added. Medellin-based national electric-power grid operator and wholesale trading center XM announced July 5 the debut of an ultra-high-tech control center that will help maintain and improve power reliability and rationality for all Colombia. The new control center also includes two high-tech training rooms that “allow [trainees] to simulate in real time the operation of the entire SIN in a controlled environment,” according to XM. “We monitor and control around 26,000 electrical variables measured throughout the depth and width of the national geography, employing multi-site technology for the continuous operation and phase measurement as well as maximum observability of the network, identifying [power-disruption] phenomena impossible to detect with traditional technologies,” according to the company. XM’s system coordinates 66.89 terawatt-hours/year of power production and dispatch, involving more than 55,000 coordinated power moves annually by 112 players in the Colombian power market, including 74 power generators, 60 centrally-dispatched plants, 146 non-centrally-dispatched plants, 16 power transmitters, 32 power wholesalers, 26,000 kilometers of 110-kilovolt power lines, 249 power substations and the power interconnection with Ecuador. “The new control center of the National Dispatch System will have two updates of hardware and software every four years, which will guarantee the latest available versions and will ensure the best technology to meet the challenges of the operation, maintainance and integrated control of the SIN until 2030,” XM added. “The global electricity industry is facing one of its biggest changes [in history] and Colombia is not immune to this reality,” said XM general manager María Nohemi Arboleda. “For this reason it is essential to have very strong institutions that incorporate new elements and actors in the most appropriate and harmonious ways possible. At XM we have been developing initiatives and projects for several years that point in that direction -- and the new control center that we are inaugurating today is proof of this,” Arboleda added. Medellin’s Plaza Mayor convention center today announced that the ninth annual “Expoartesano” show (June 29 through July 8) broke all sales and attendance records, an encouraging signal for growth in demand for native crafts and goods. During the 10-day event, "Expoartesano" drew 39,879 visitors, who spent a total of COP$4.08 billion (US$1.4 million) at the 430 exhibition stands, featuring 122 native artisans from 21 ethnic groups as well as 68 other traditional Colombian crafts vendors, according to show organizers Artesanias de Colombia. “Through this type of events, the aim is to turn artisanal activity into a sustainable way of life for the thousands of artisans in Colombia.,” according to the organizer. “Since its inception, Exporartesano -- in a strategic alliance between Artesanías de Colombia and Plaza Mayor Medellín -- has fostered the circulation and qualification of the national artisan offer, promoting, developing and boosting business, through an event that brings together different expressions every year of the artisan culture and that over the years has become a cultural movement in the capital of Antioquia,” according to the group. Meanwhile, the 16th annual “Colombia Canta y Encanta" festival July 12 through 15 will feature 33 traditional song-and-dance artists from Boyacá, Cundinamarca, Nariño, Santander, Tolima, Valle del Cauca and Antioquia, according to show organizers. “All members of ‘Colombia Canta’ are true stars for their talent, however, some of them have achieved greater recognition for their participation in programs that are broadcast on national television channels,” according to the group, which promotes development of young talent. Besides live public performances, the festival also will include special workshops for local schools, bringing “recognized masters of Colombian music” as well as a class in orchestra conducting. Among the participants: 15-year-old Esmeralda Gil Cano, who first gained fame four years ago in the Colombian national TV talent show “La Voz Kids,” and 14-year-old Michael Uribe Alzate, who at seven-years-old made a sensational debut on the “X Factor” TV talent show. The full program of “Colombia Canta” is available at this web site: www.colombiacanta.org.